Kia Optima Running Costs, MPG, Economy, Reliability, Safety | What Car? You wouldn’t call the 1.7-litre diesel engine inefficient, but it’s no match for the best rivals in this class. 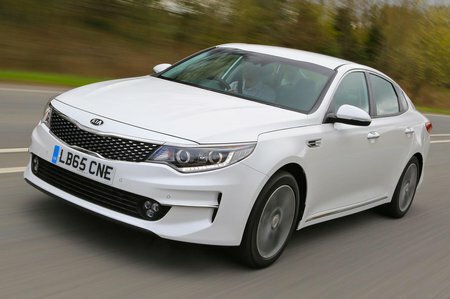 For example, with a manual gearbox, the Optima returns an official 67.3mpg and emits 110g/km of CO2, compared with a claimed 76.3mpg and CO2 emissions of 95g/km from the Skoda Superb 1.6 TDI Greenline. That’s a big deal if you’re a company car driver, because it means the Kia will cost you significantly more each month in benefit-in-kind (BIK) tax. However, go for the PHEV model, which officially emits just 37g/km of CO2 and you'll enjoy just 7% BIK rate and some of the lowest company car tax payments of the entire class. However, the PHEV only really works if your commute is short, you have charging at both ends and your company is prepared to spend more than £31,000 buying you one in the first place. Entry-level 2 trim is our favourite; it’s well priced and still comes with an impressive amount of kit, including 17in alloys, a 7.0in touchscreen, sat nav, Bluetooth, climate and cruise controls and automatic headlights. 3 trim is worth a look because it adds part man-made leather seats that are electrically adjustable and heated, along with a Harman Kardon sound system and an 8.0in touchscreen sat nav. The range-topping 4 trim is too pricey to recommend. PHEV cars are effectively their own trim level, and come with everything 4-trim cars do, plus unique bespoke low-drag front and rear bumpers, an active grille, a blue tint to the headlights, blue chrome trim on the lower front air intake, upper grille and side sills and the exclusive navigation screen with a series of menus, which help the driver achieve the highest possible range in EV mode. 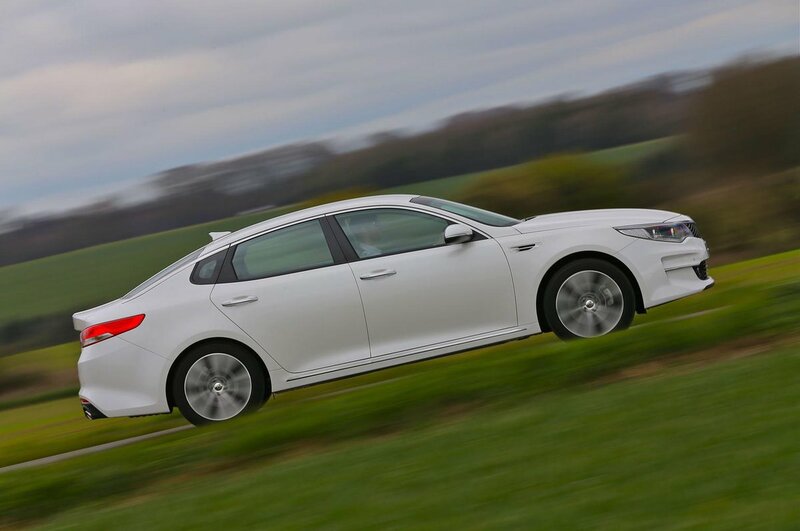 Euro NCAP awarded the Optima a five-star safety rating. However, it’s disappointing that preventative safety features, such as blind-spot monitoring and automatic emergency braking, are reserved for range-topping 4 trim. You can’t even pay extra to add these important features to cheaper versions. Kia finished only in the middle of the pack in the latest What Car? reliability survey. However, the firm’s excellent standard seven-year, 100,000-mile warranty is on hand should anything go wrong. 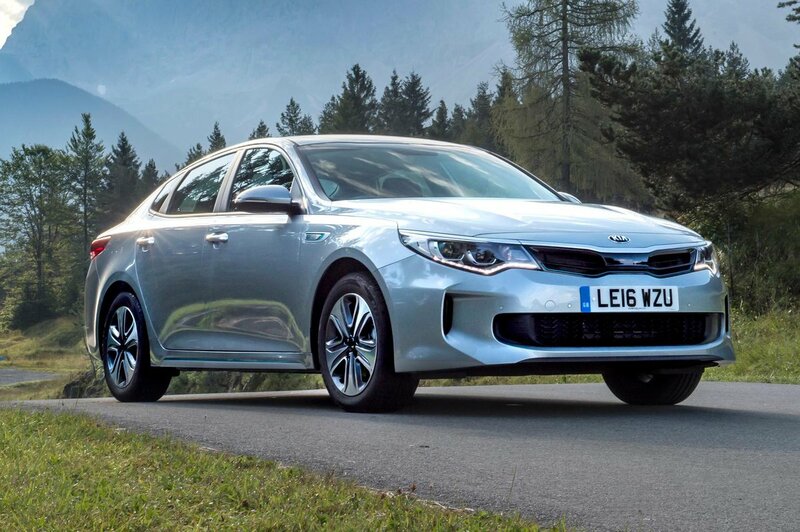 The Kia Optima is a good-looking car that’s well equipped and has a smart interior. However, its steering, engine refinement and diesel CO2 emissions are below par.